Monster Energy Yamaha team-mates Romain Febvre and Jeremy Van Horebeek both struggled to make an impact at Ottobiano at the MXGP of Lombardia. 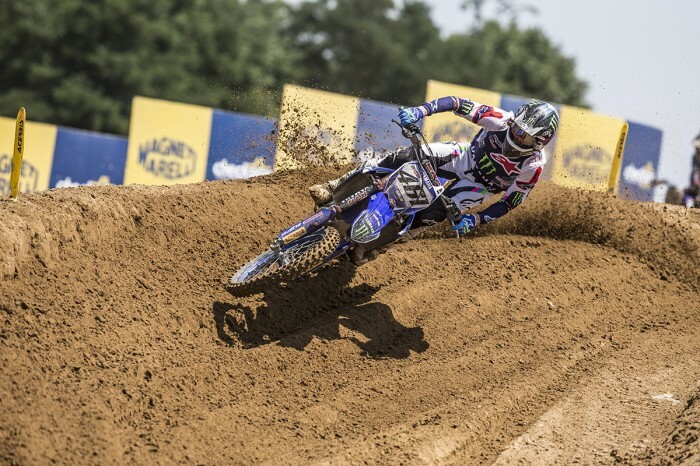 Febvre, the 2015 champion, made a number of costly mistakes that restricted him to fifth overall with five-six moto finishes. “I am not so happy with the way this weekend went,” said the Frenchman, “especially because I won the qualifying race so I know I had the speed to be on the podium this weekend. Van Horebeek, vice-champion in 2014, is currently ninth in the points table. “I suppose things were going a little bit better this weekend but I still feel like I am struggling a lot with myself, although eighth place in the second moto gives me a good feeling because I had to come from really far behind.